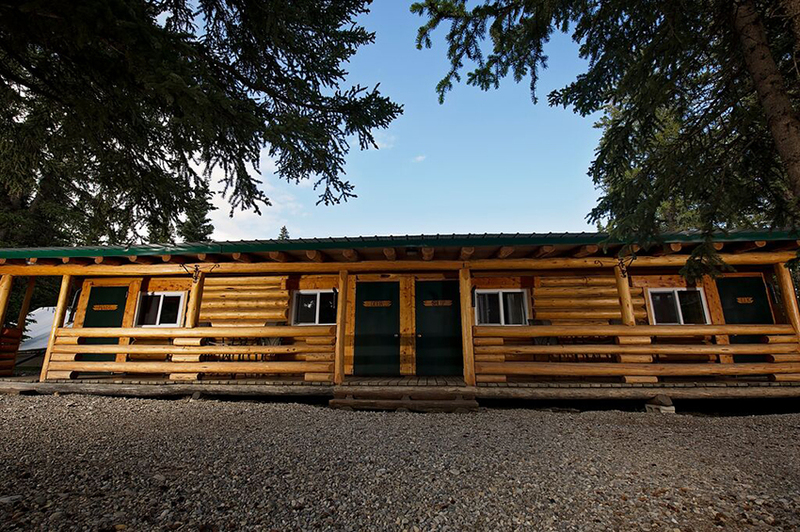 Built in 1979, our unique Lodge is where family and friends come together. Inside of the main Lodge, warm up beside our wood burning fireplace while our wonderful staff serve you hearty home-cooked meals that are sure to warm you deep into your soul. 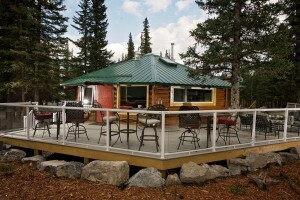 The Lodge at Panther River also features The Rusted Rock Patio and Coffee Bar. 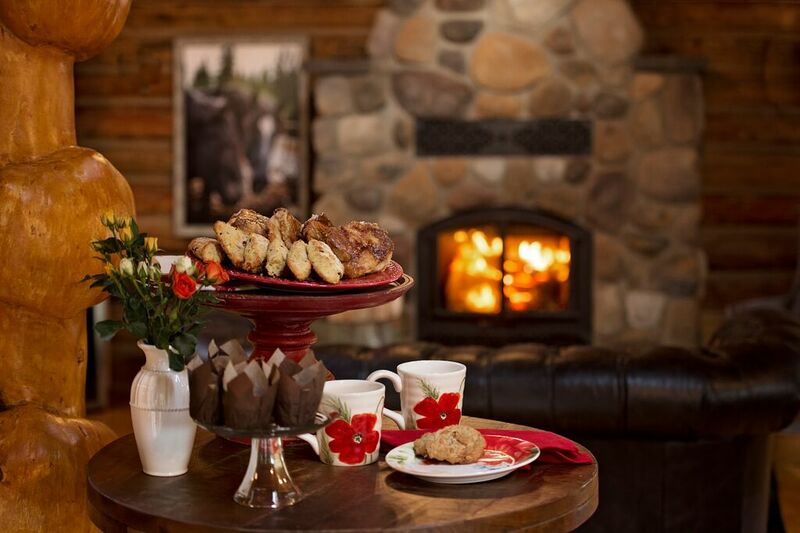 Come soak in the beauty while enjoying a local spirit or specialty coffee featuring Banff Roasting Company. 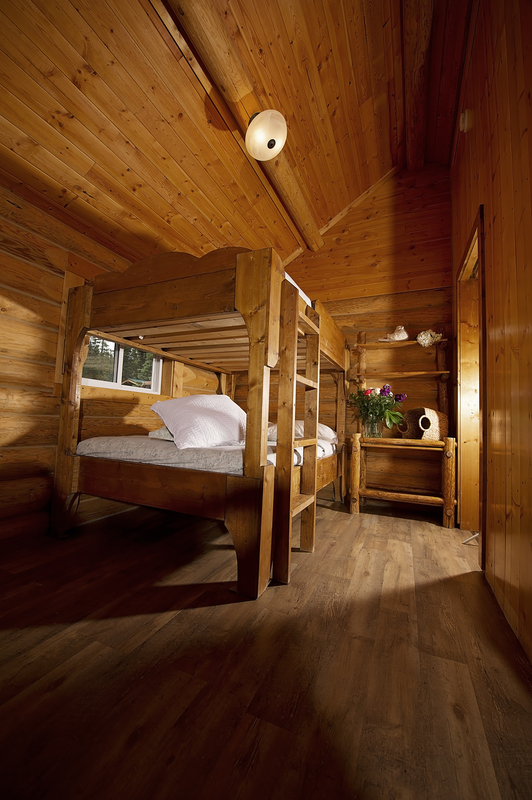 Each authentic charming log cabin has its own covered veranda to sit back and watch the world go by. 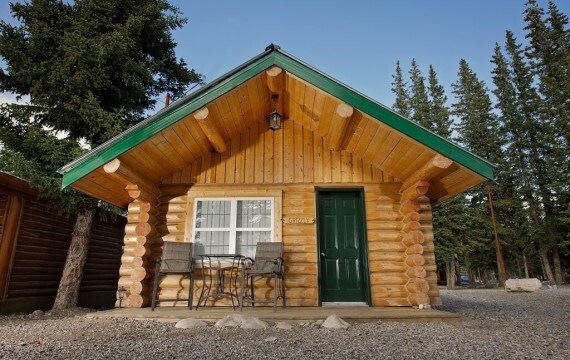 Our log cabins are perfect for your family getaway. 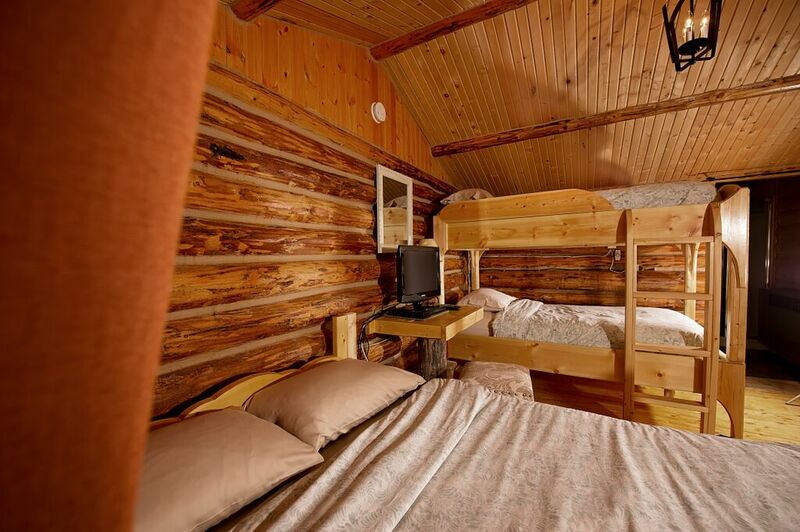 Each cabin has a different bed layout with a large three-piece ensuite bathroom, satellite TV, and Wifi. 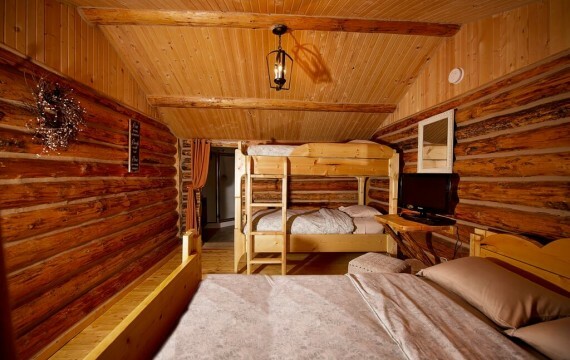 Cabins can accommodate up to four guests comfortably. 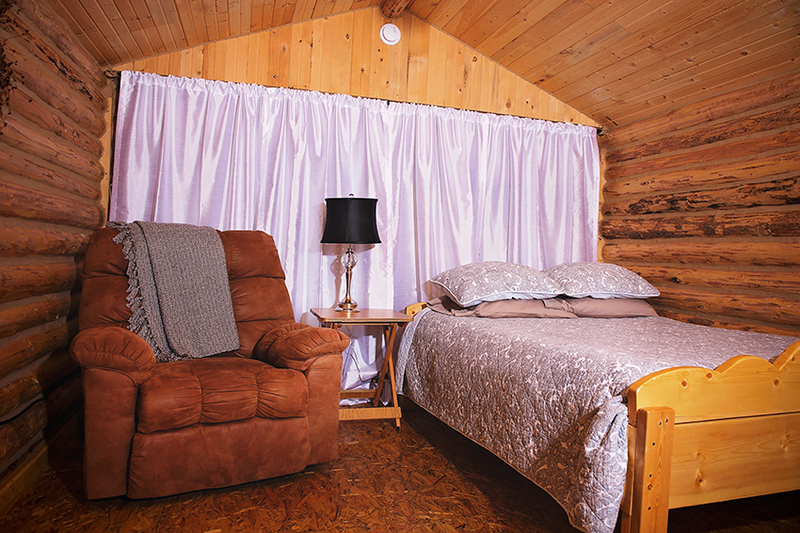 For couples, the perfect escape to the romantic Larkspur cabin. Built for two. 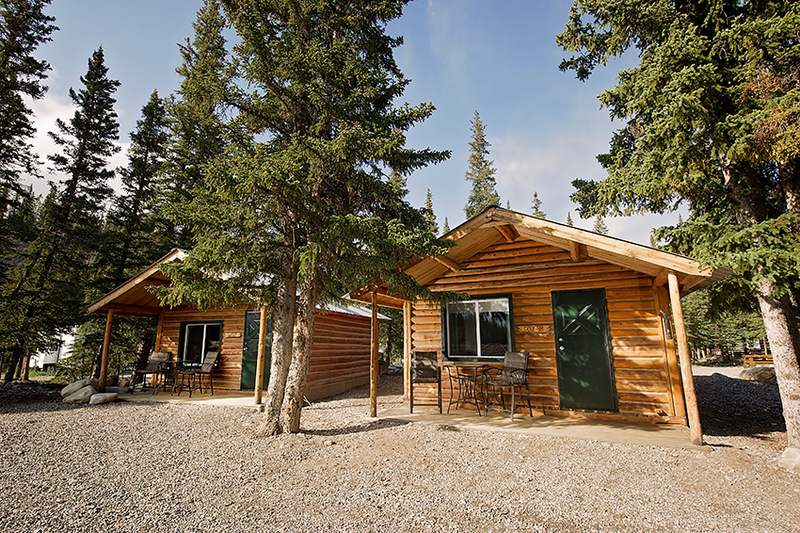 The ultimate wilderness retreat to our luxury cabin suites, nestled in the woods with the most stunning views on our property. 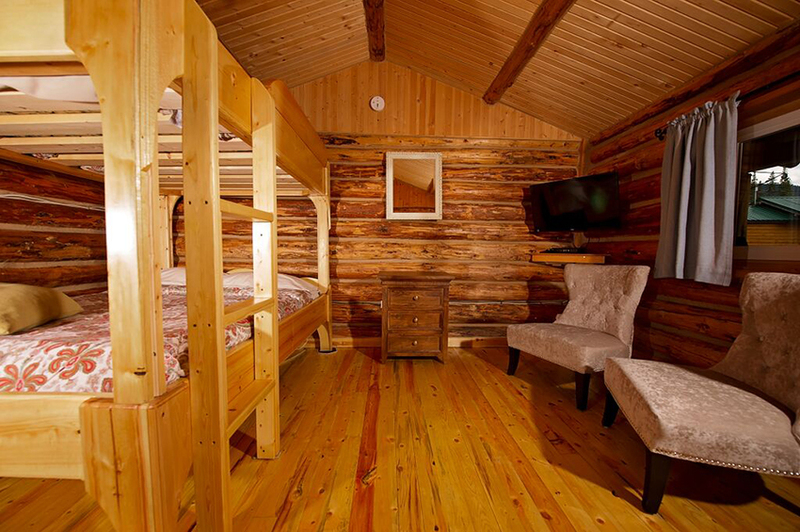 The Aspen and Cedar Suites are the perfect hideaway to melt into comfort while gazing up into the Rocky Mountains. 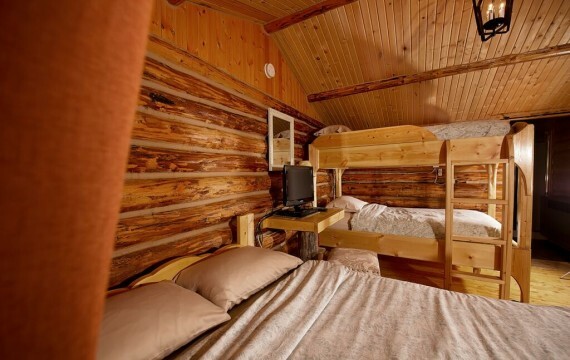 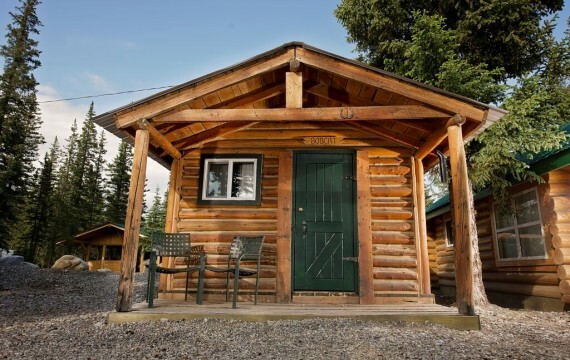 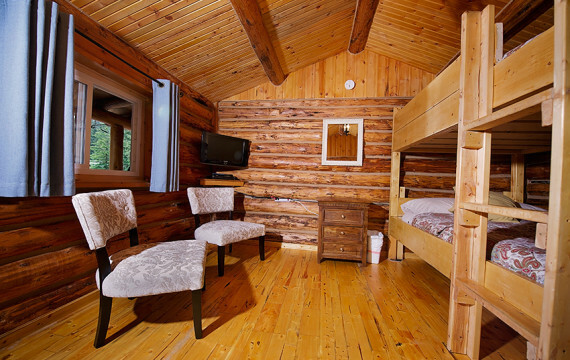 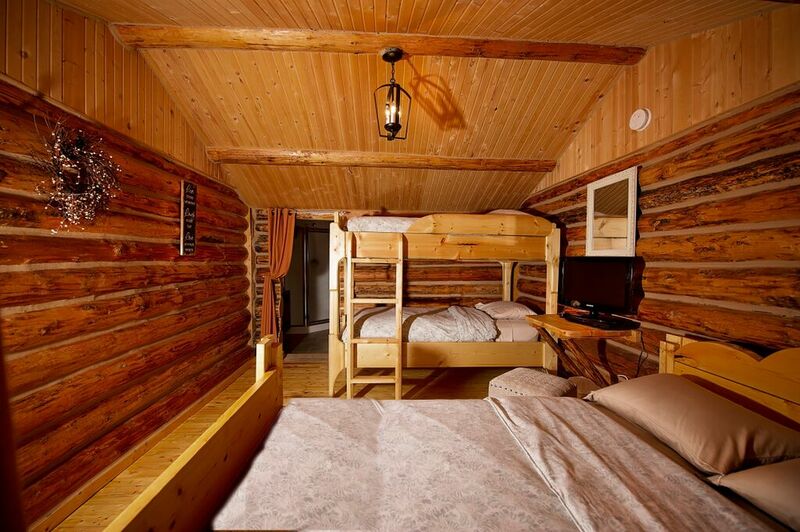 Luxurious cabins suites can comfortably accommodate up to four guests. For a fun-filled nature adventure where you can bring all your friends or loved ones, book into the Aster Suite. 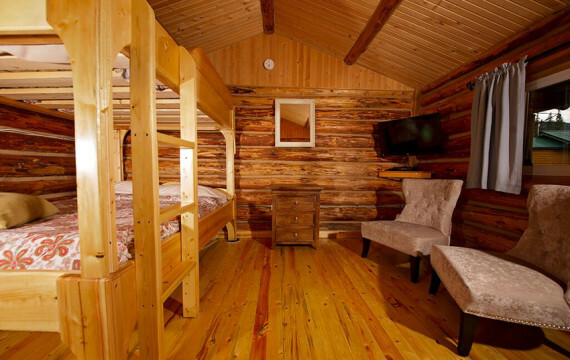 With two bunk beds, four piece bath, sitting area with a pullout sofa, and a kitchenette, this cabin has everything you will need to bring all of your favorites on vacation. It is also our most popular suite because of the amazing amenities. 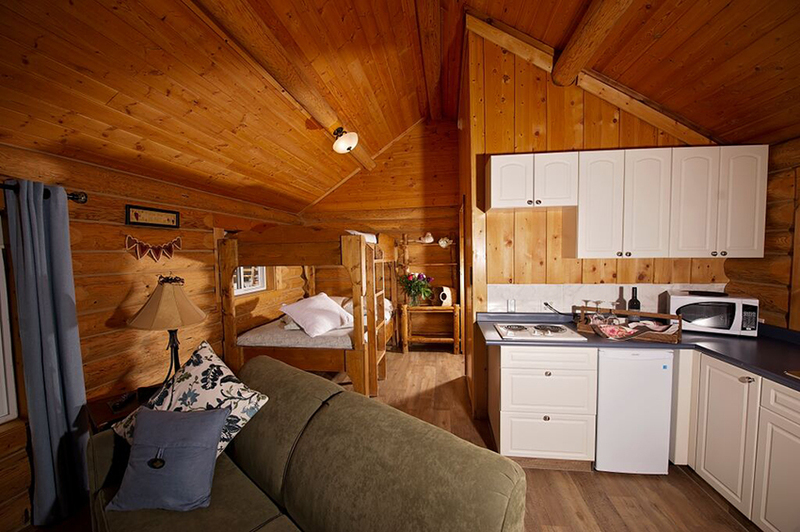 The Aster Suite comes complete with satellite TV and wireless wifi. 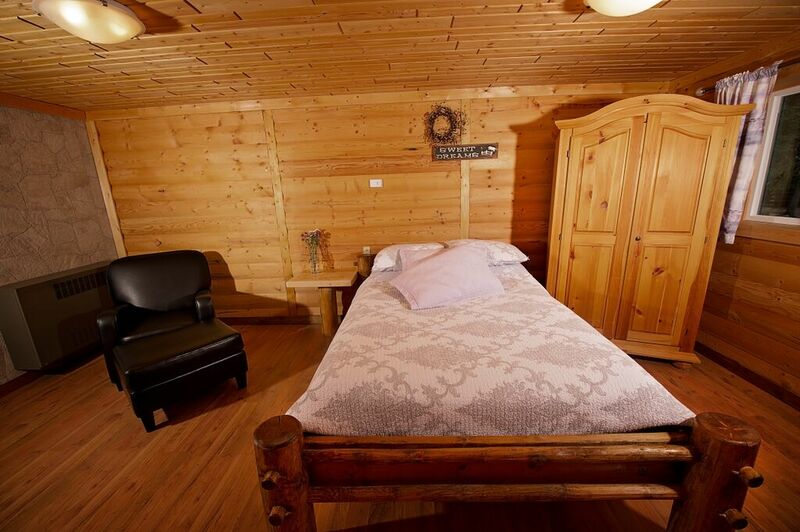 This fully equipped Suite can accommodate up to four guests comfortably. 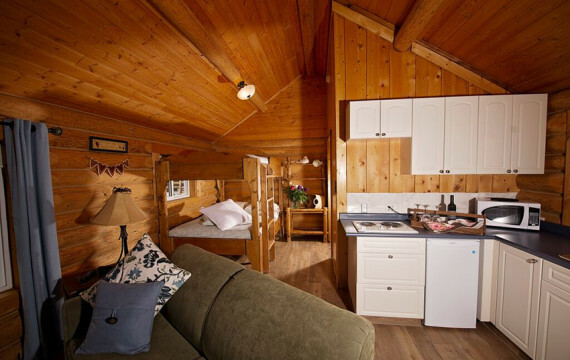 Bring yourself back to your roots and stay in our quaint, one of a kind Dogwood cabin. 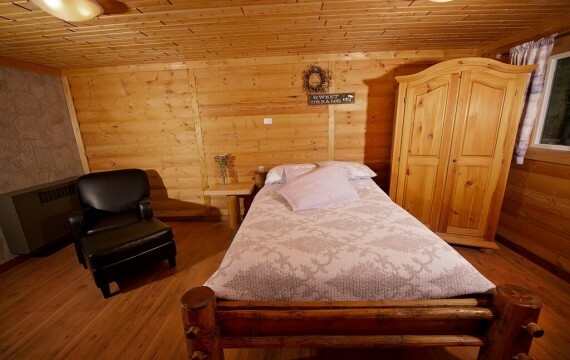 The Dogwood accommodates up to two guests with one double bed, satellite TV and wifi. 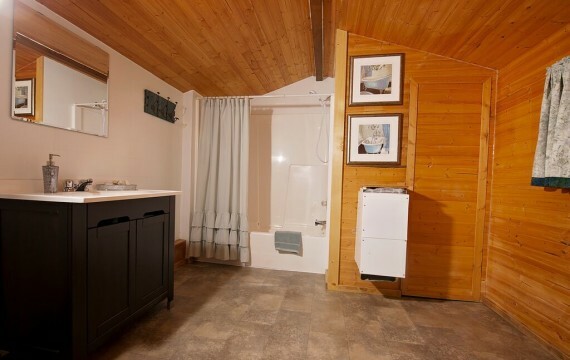 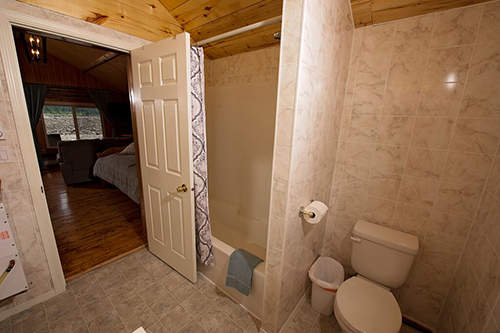 Exterior bathrooms are available for guests of the Dogwood cabin to use. 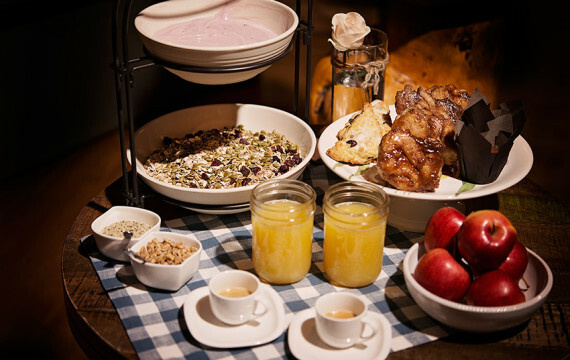 Wake up and enjoy our signature Panther River breakfast and a freshly brewed cup of locally-sourced Banff Roasting Company Coffee on the house. 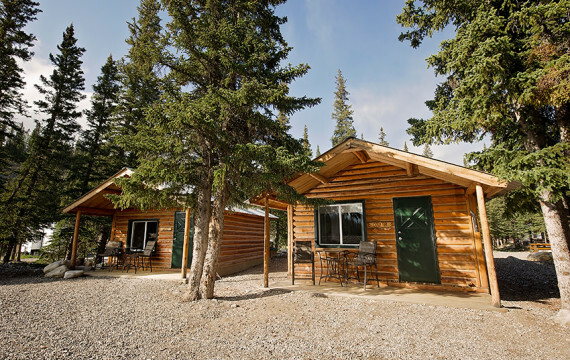 Panther River’s signature breakfast is complimentary for all cabin guests. 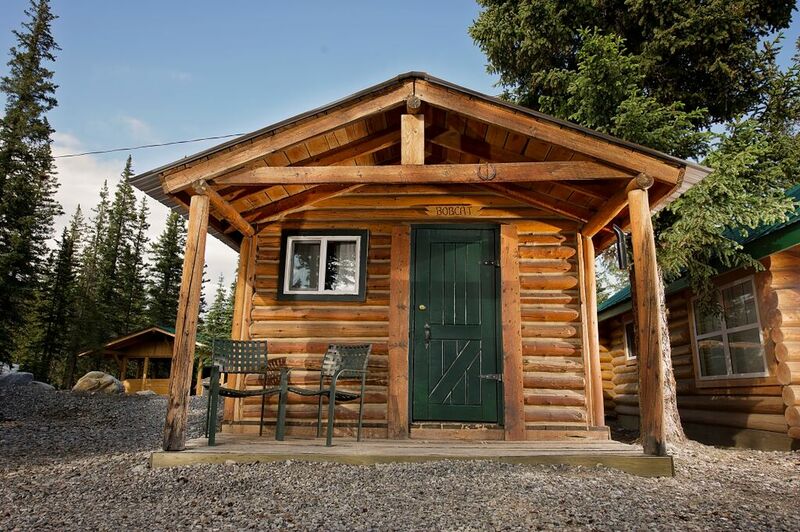 Includes: Assorted homemade baked goods like muffins, scones, banana bread and our family recipe -cinnamon buns; house-made granola, yogurt, fresh fruit, and bevergae of your choice: coffee, tea and juice. 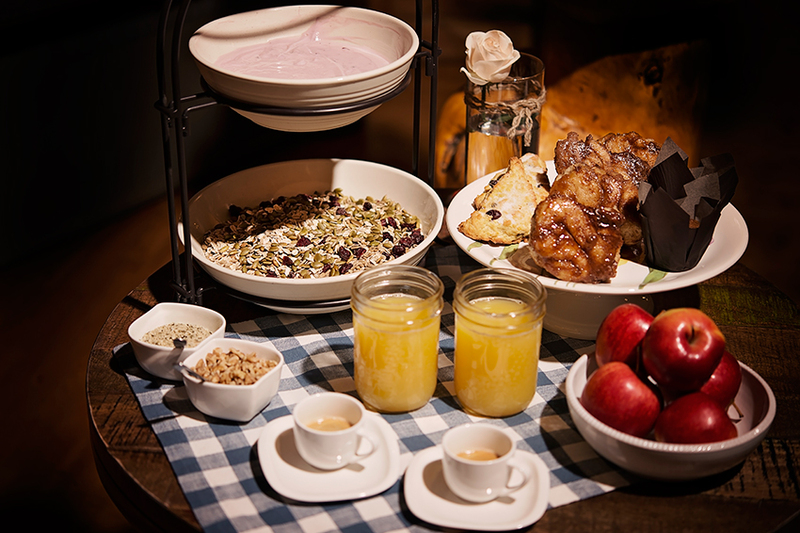 Hot breakfast available upon request with reservations. 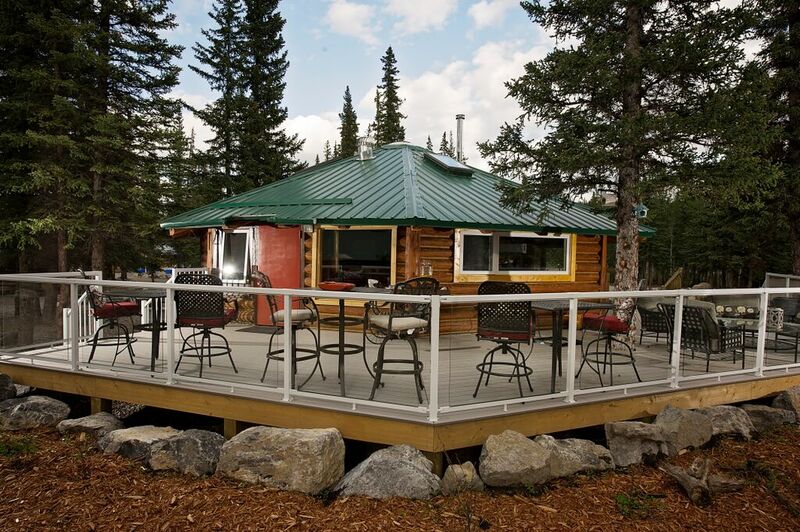 Join us for delectable pancakes and bacon one morning! 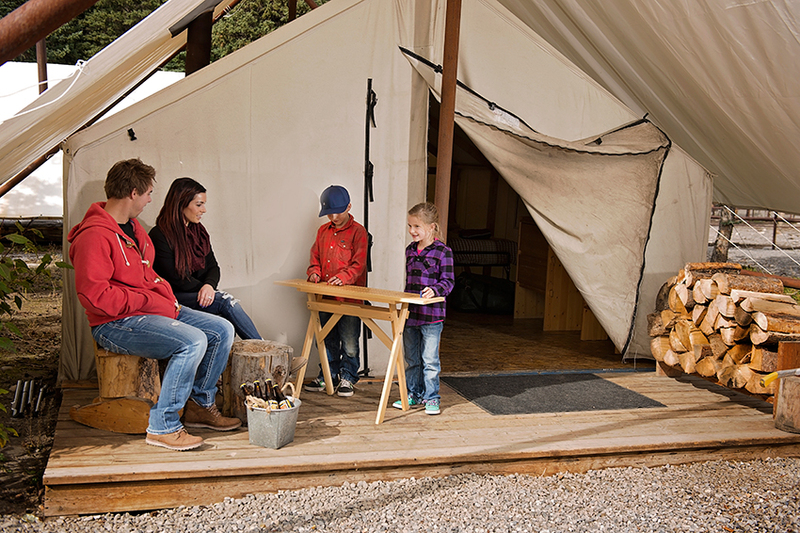 The perfect way to start the day before a wilderness adventure. 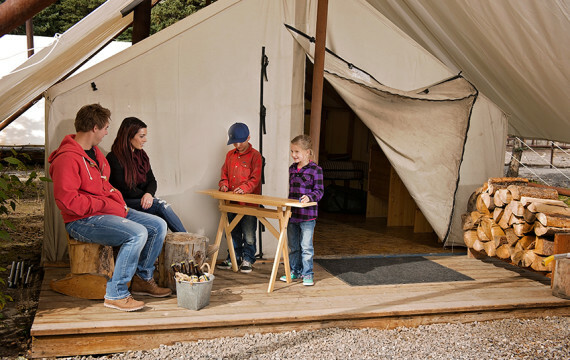 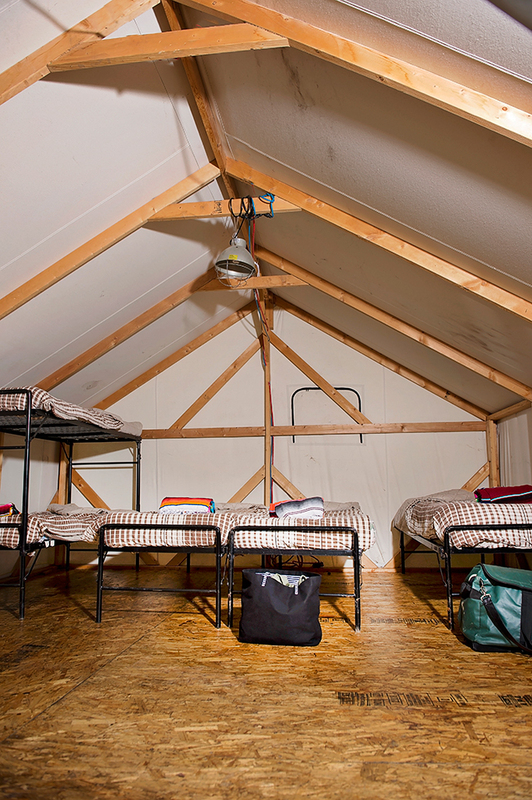 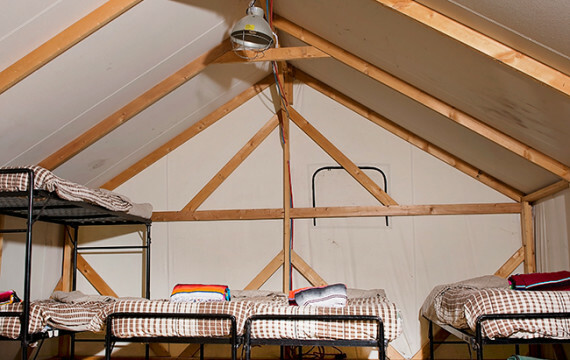 For the adventurous souls, we offer canvas-wall tents complete with a wood floor and private deck. Cozy up for the evening next to your very own wood-burning stove. 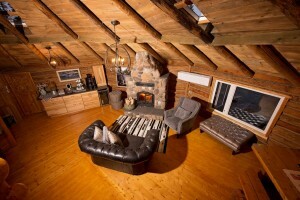 Firewood supplied by The Lodge at Panther River. 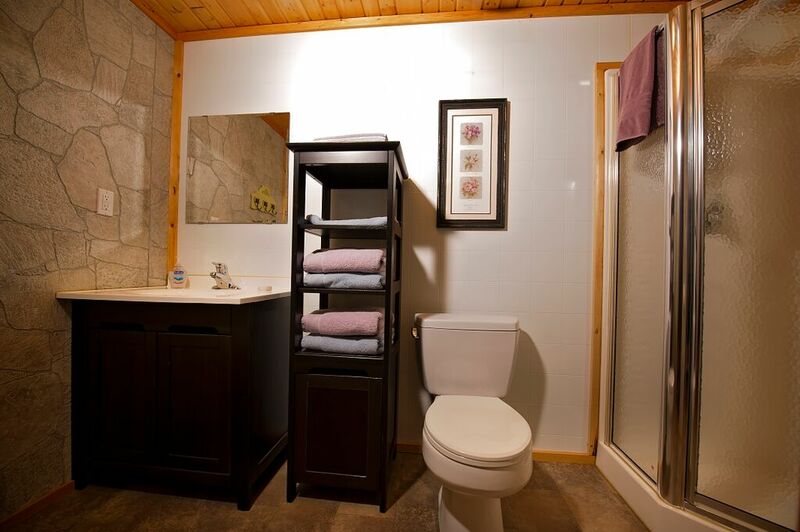 Shower and bathroom facilities are available for all outfitter tent guests nearby. 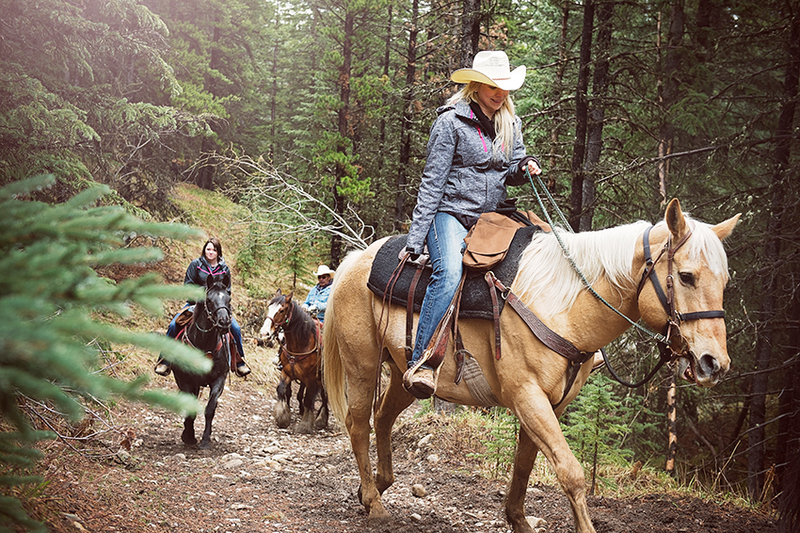 For Guests who love to explore on horseback The Lodge has equestrian camping available for your horses. 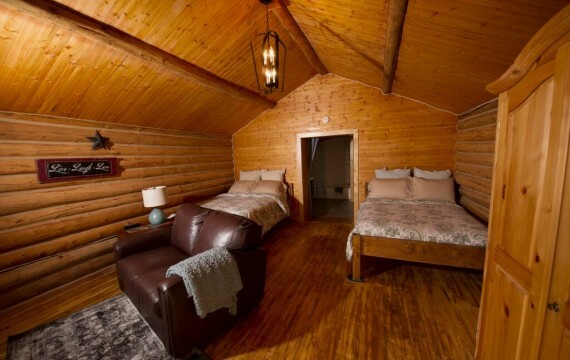 Please inquire with The Lodge at Panther River to make this booking. 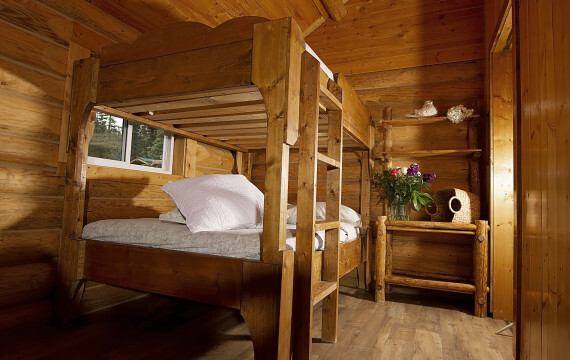 The Lodge at Panther River is proud to have Lavender Lotus products for guests to use during their stay in every cabin and suite. 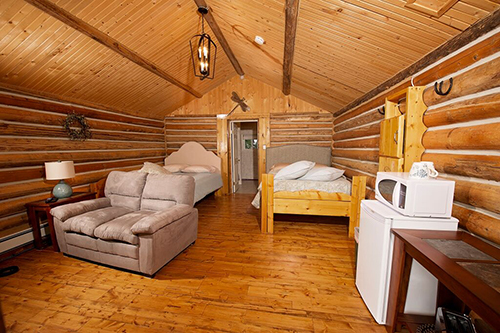 Also available in The Lodge for Wilderness campers. 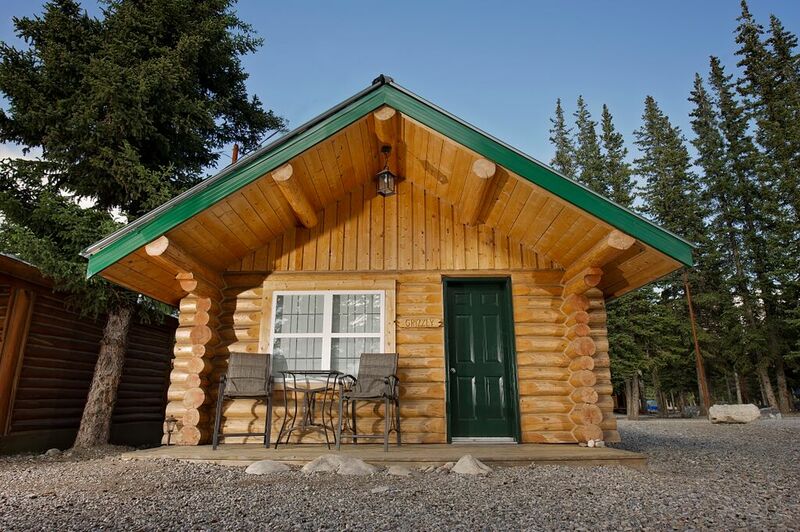 This package is available to enjoy during the summer and fall (July 15 - November 1).